Open and distance learning has been used in many ways in the recent past to provide both primary education and adult education. The Commonwealth of Learning works with governments, schools and universities with the aim of strengthening the capacities of Commonwealth member countries in developing human resources required for their economic and social development. Many existing policy documents link distance education with new information and communication technologies, portraying them as a promising universal access and exponential growth of learning. 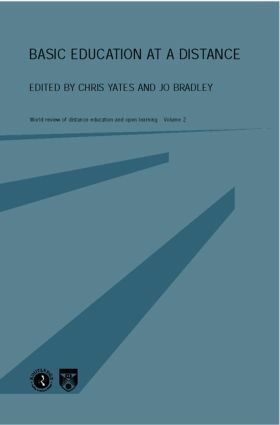 This book answers the key questions to these issues and assesses the impact and effect of the experience of basic education at a distance all over the world and in a wide variety of forms. This is the first major overview of this topic for twenty years. Outcomes: what have we learned?